Welcome to the October edition of the Luwero Newsletter. 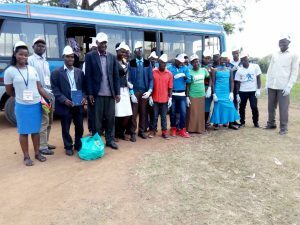 The 12th Annual Youth Camp and Luwero Pastors’ Fellowship was a resounding success. People from Uganda and beyond gathered at the Project to share their faith, listen to the messages of the speakers and enjoy the company of fellow Christians. Gabriel’s report on the camp can be found in the News section of the website. Ernie has just returned home after playing a major part in this year’s youth camp. During his time at the camp he delivered lessons and led worship. To read his report on his experience please go to the News section of the website. 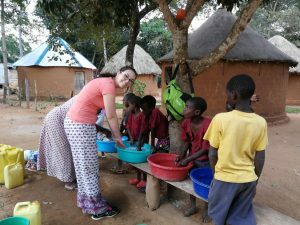 Having visited the project in 2014 as part of a party with Duncanrig Secondary, Katie Lyon returned for 2 weeks this summer. Such was her enthusiasm to return that she convinced her mum to accompany her on her big adventure. To find out what they got up to and to read about the impact the trip had on them go to the News section of the website. 400 primary and 200 secondary pupils returned to school on the 17th September along with new members of staff. The senior pupils immediately face the prospect of national exams. Some will be sitting Ordinary Level exams in October and others will be sitting Advanced Level exams in November. Please pray for them as they prepare for these very important and potentially life changing exams. For much more news about the school and its pupils, go to the News section of the website. This is the second edition of the newsletter that I have edited since I took over from Ernie and some of you contacted me in response to the first to say “Who are you?”. To remove the mystery I can reveal that my name is George Wynne and I am a retired Headteacher, from Duncanrig Secondary School in East Kilbride. 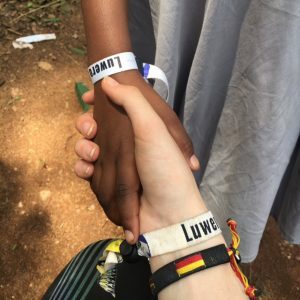 I have a connection with Luwero dating back to the early 2000s, when Gabriel first came to visit the school and have visited the project twice, leading teams of staff and pupils. 2019 Luwero calendars are now available. If you would like to buy a copy/copies please contact the office. A party of staff and pupils from Duncanrig Secondary School in East Kilbride have arrived at Luwero and will stay until 24th October. 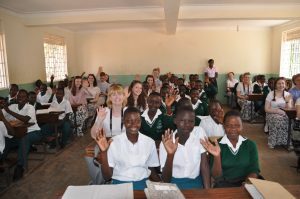 This is the 5th consecutive year that a group of S6 pupils and teachers have made the journey in October to support the work of the project and emphasise the strength and durability of the partnership between the school and the Luwero projects. A report on their visit will be posted on the website when they return. Last year’s report can be seen on the Luwero section of the Duncanrig Secondary School website.